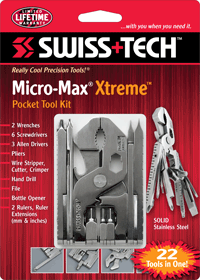 The Micro-Max®Xtreme™ offers 22 different tools in one pocket-sized tool. 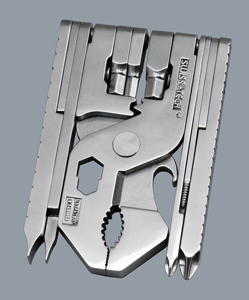 The heavy-duty, stainless steel tools handle repairs with ease. 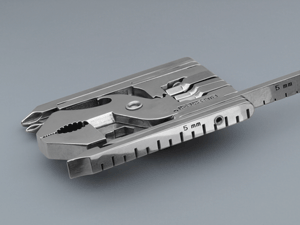 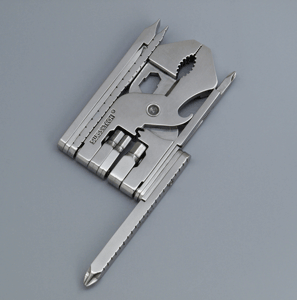 Patented folding mechanism allows the full-sized tool to transform into a size small enough to carry in a tool belt or pocket, glove box or home emergency kit. 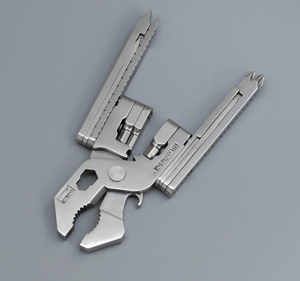 Integrated locking mechanism keeps legs closed and open.